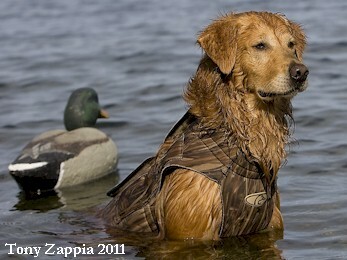 Midas graduates to full breeding status with the completion of all his health clearances. 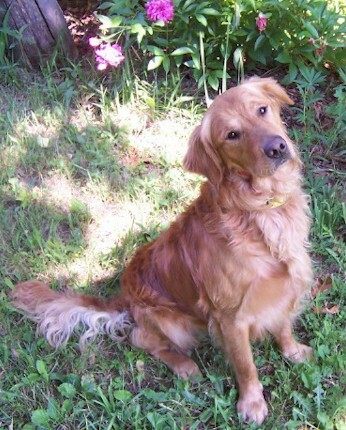 He's a wonderful boy, full of fun, with that simple-minded sweetness that makes us love Goldens. But his on/off switch goes to full alert when he's working in the field. He is truly exciting to train and run and he completed his Senior Hunter title by 3-whistling a water blind at a test that only 8 of 20 passed. He earned his CD in the obedience ring over two weekends with flair and style. He's a great candidate for advanced obedience as he actually had fun with it all. He's not hard to look at either with handsome good looks and perfect structure, as proven by his earning the important CCA and subsequent VC titles from GRCA. 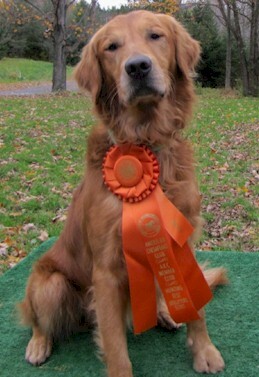 Midas completed his Master Title October 2, 2010 with an outstanding performance.